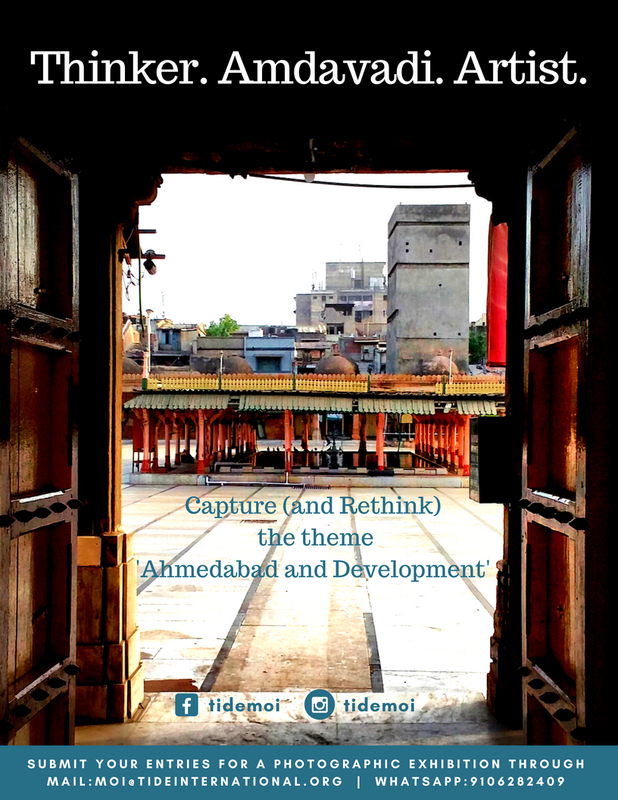 WhatsApp your pictures along with a caption to +91 91062 82409 or email at moi@tideinternational.org to submit an entry. Are you an Amdavadi at soul? Have you seen the city change in front of your eyes? 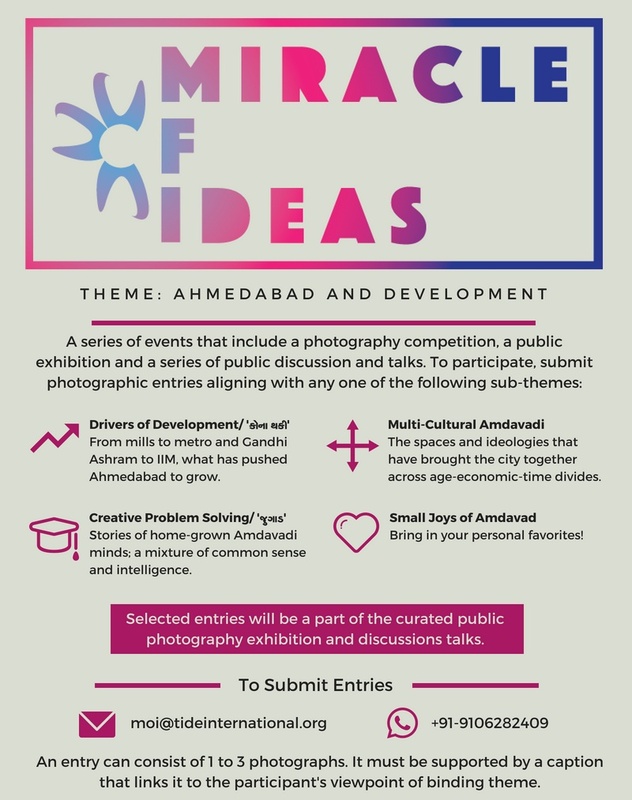 Well, TIDE welcomes all souls of Ahmedabad to a photo exhibition which is truly Amdavadi in nature. It is an exhibit by us and for… Everyone!!! Students from schools and colleges have already started to share their pictures and stories with us. It is now your turn. The public exhibition will be followed by a series of talks building on the photos to explore various facets and nuances of development and the city.